Yang Jiechi, male, Han ethnicity, was born in May 1950 and is from Shanghai. He began his first job in September 1968 and joined the Communist Party of China (CPC) in December 1971. Yang graduated from History Department, Nanjing University where he completed an in-service graduate program in world history. He holds a Doctor of History degree. Yang is currently a member of the Political Bureau of the CPC Central Committee. 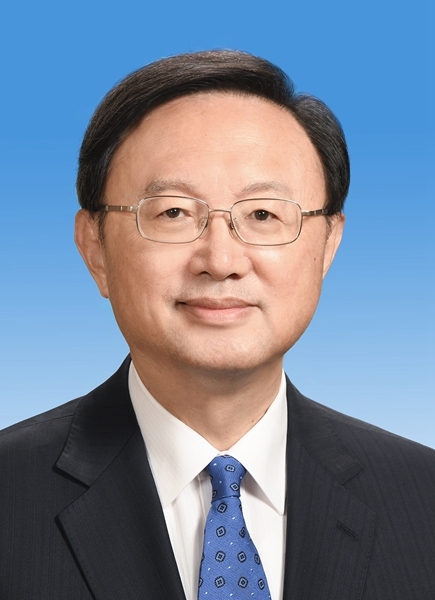 He is also a State Councilor, a member of the Leading Party Members Group of the State Council, Director of the Office of the Central Leading Group for Foreign Affairs, and Director of the Office of the Central Leading Group for Safeguarding Maritime Rights and Interests. Member, 19th CPC Central Committee Political Bureau.